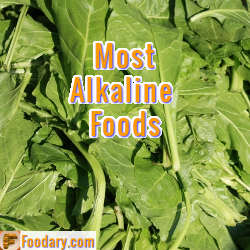 Foodary is more than alkaline diets. I investigate and explain diets and health. All diets affect health, but here, I’m looking at specific diseases. You must consider your personal health situation when planning your diet. If you suffer from any disease, it may affect your choice of food and drink items. Sometimes food groups are restricted, sometimes they are beneficial. Let’s look at different diet choices for specific diseases. Recently, I reviewed alkaline diets and diseases in What has pH Balance to do with Diseases. The alkaline diet is important to me, but I want Foodary to cover all healthy eating plans. Prompted by a recent report, I list various diets here. Later, I will take a more in-depth view of the most relevant diets and diseases. The report is “Types of diet and their nutritional impact on health,” published in the May 2014 edition of Science and Technology (Sci. Technol. 2014, 1(1), 26-29). There is very little specific detail in the report, but it does give a very useful overview that I will choose as a starting point. It also has the facts wrong on the alkaline diet, but this is not unusual in many books and published nutrition studies. The introduction stresses the importance of nutritional balance in the diet. Diets must balance nutrition to meet normal human needs, and also avoid harmful excesses. This means balancing macro-nutrients (carbohydrate, fat, protein) and micro-nutrients (electrolytes, minerals, vitamins). The authors mention the importance of the type of macro-nutrients as well as quantity. There is no detail about this, but it is something I will return to later. You will notice that I provide many food lists on Foodary that help you plan and measure the quantities of various nutrients. As I refine my database, I plan to include nutrition quality scores. I have omitted the alkaline diet from this list, as the diet in the report is based on alkaline and acid ash values. That approach is now outdated in favor of PRAL, and similar scoring systems that estimate acid load on the kidneys. As I said earlier, I will explain these diets in more detail in separate articles. I will be influenced by your interest and by your comments. Please share your questions, opinions, and experiences in Foodary’s Healthy Eating Forum. What diets and diseases are most important to you? Aug 20, 2014 (first archive). First Published. Aug 30, 2016 (archive). Forum links changed. If you see pages that can be improved, please suggest a Foodary page review.